Colts & Fillies: Kids Eat FREE! Book Queen Anne Tickets to all 4 family days for £65, a saving of £55 from buying on the day. Available until 31st March 2019. Click here to book. Discount is for Queen Anne tickets only, booked together for all four family days before 31st March 2019 and is subject to availability. Maximum of 6 family day package tickets per family. We are delighted to be able to offer Colts and Fillies members a family discount off the advanced Queen Anne ticket price for all Ascot Racedays in 2019 (excluding Royal Ascot). 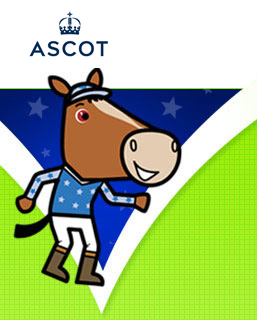 When booking Queen Anne tickets online please enter the code ASCOTCANDF19 and your discount will be applied. Discounts are only available to the families of Colts and Fillies members. Discount is for Queen Anne tickets only, booked in advance of the raceday and subject to availability. Maximum of 6 tickets per family. On family days kids eat free in the Bandstand Kitchen and Bar when accompanied by a paying adult. The bandstand restaurant is located on the bandstand lawn and offers casual dining. Please note this restaurant is not available to book and operates on a first-come, first served-basis.